Lomography Magazine Introducing The Fisheye Baby 110 - Lomography's First 110 Format Cameras! Good things really do come in small packages! We are excited to present to you the latest analogue babies in the Lomography family – the oh-so-adorable Fisheye Baby 110 Cameras. They may be small, but they pack a 170-degree punch on 110 film! Get yours now – limited launch stock available! Yes folks – 110 format photography is back! First, with the introduction of the Orca 110 Black & White Film, and now with Lomography’s very first 110 format cameras – the Fisheye Baby 110 Cameras. They fit in the palm of your hand, making them the perfect embodiment of Lomography’s Golden Rule #1: Take your camera everywhere you go! Get Closer – With its wide depth of field, the Fisheye Baby 110 will give you even closer shots than with the Fisheye One and Fisheye No.2 – so you’ll get even cooler close-up photos! Bulb and MX settings – Not many pocket 110 cameras on the market have these special Lomographic abilities – they are perfect for some analogue experimentation! To do a multiple exposure you don’t even need to flick a switch; just hit the shutter button twice or more! Super-sized – The Fisheye Baby 110 is so much smaller than other cameras around so can easily be taken with you everywhere you go. Forget having to buy a separate camera carry-case; the Fisheye Baby 110 is small enough to always find a space in your backpack! 110 Possibilities – 110 film offers new and exciting shooting possibilities for Lomographers. For example, with 110 film you can swap from a color cartridge to black and white half-way through a roll (you’ll just lose 1 shot when doing this) – Pretty cool huh? Small, cute, and super-handy, the Fisheye Baby 110 Basic is equipped with the Bulb mode feature (for indoor and nighttime long exposures), and the ability to do easy multiple-exposures. The shiny Fisheye Baby 110 Metal Edition is the Fisheye Baby 110 Basic camera cased in sturdy metal and has the added bonus of a PC Flash Connector. Paired with an adaptor, you can connect your camera to any hot shoe flash! Because of the Fisheye Baby 110 Cameras' small film size, the depth of field is wider than with 35mm or 120 – making them great cameras for close-up photos! The Fisheye Baby 110 Cameras are fully working miniature versions of the Fisheye No. 2 designed especially to fit 110 film. They capture the world in full circle and enable you to produce perfect Fisheye pictures. The Fisheye Baby 110s come with a bulb mode and are able to capture multiple exposures too. Load them with Lomography Orca B&W 100 and dive into the long forgotten world of 110 photography! Head to the 110 Camera Microsite for more information. rogiersaur, neanderthalis, paulamonteiroh, lomonina, lordlarry, inesnascimento, leicat, feelux, jarvislomo, adzfar, catarinasalgado, gr0219, breakingmyself, devoncaulfield, niasarinastiti, lindsayhutchens, lomographyaustx, snoop, mstrlss, tomkiddo, life_on_mars, wil6ka, plasticpopsicle, tomas_bates, syafiqjamalludin, frogbear, gabysalas, denisesanjose, janagitana, adi_totp, juansupergen & jessye. does it actually work underwater or no? @jessye: you can't use the cameras underwater, but hey, this might motivate our inventors to make a mini submarine case! @dragontw: you might lose some of the space on the negative, but this camera is capable of some really cool stuff. Did you know that you can get closer than ever before, it's almost like a macro! @ianaggie have you tried the mail in that we offer? Its significantly less for development scan and prints of 110.
really like its tiny size. how to scan 110 films? Im not sure if i would buy it myself, but if someone bought for me , i would be like "aww its so cute , u there random person stand still while i get in real close and take ur pic, ..dammit cat i said look at me not lick ur self"
I JUST LOVE IT! I want my own baby metal edition :D. I think I'm going to get tonight!!! yei! 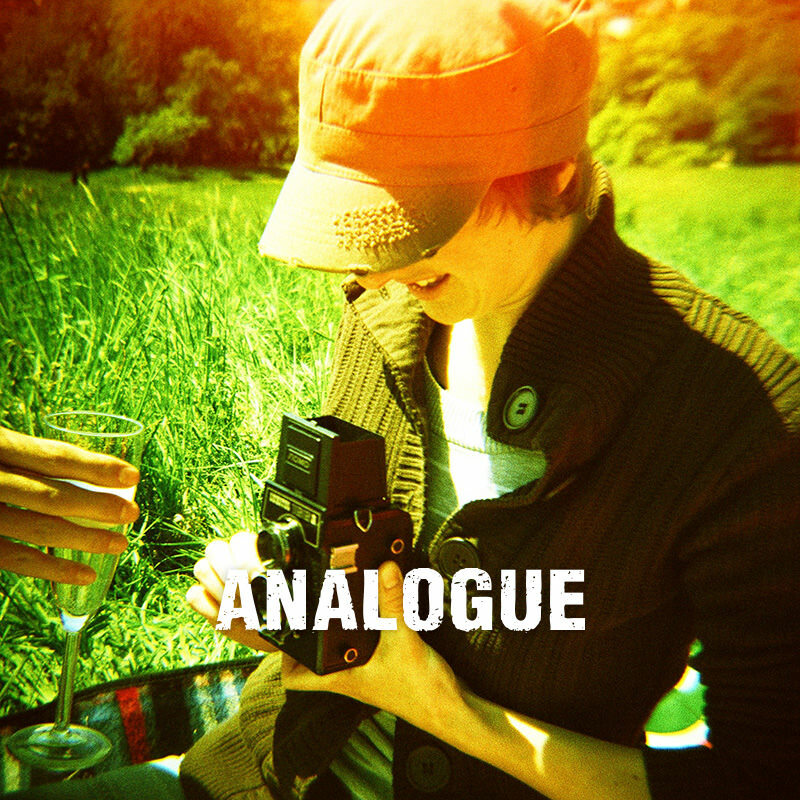 There's a new analogue world to explore in almost 180º, *ñam*! wow, that's the first time lomography disappointed me. Seriously, what is so great about 110 film, except that it's superduper small and tiny and cute? For me, lomographic CAMERAS are cameras, a medium between me and a wonderful photo, an instrument, almost a tool, and not an accessory.. I'm really sorry but if I want to take good Fisheye photos, I take my 35mm Fisheye 2 instead of this #"@&%. The photos don't even look that great, the fisheye effect isn't as strong as with the normal Fisheye imho and well, as I said, what is so great about 110? 110 is amazingly easy to use, just drop it in; no hooking up and winding on, no tedious rewind when you're done. Colour 110 is available out there - you just have to look for it. And there are lots of small photo labs out there who are dedicated to film of all kinds - try going in and talking to them. Saying all that, I won't be getting this, but only because I already have an awesome variable focus 110 camera I picked up for 99p! I'd like to go out with @mandi . He always looks like he had a good time the night before. What the song name at the video?